This month has seen gilt yields increase by 16 basis points for the first time since June 2011. 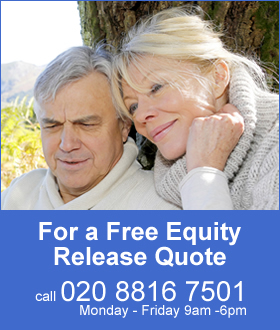 This coupled with improving equities will boost annuity income for pensioners at retirement. Annuity rates showed some strong increases with 47% of annuities increasing, 48% remaining unchanged and only 5% decreased. These figures are based on a fund of £100,000 from male, female and joint and with different features such as level and escalating. Despite the increase in gilt yields the Bank of England voted for another £50 billion Quantitative Easing bringing the total to £325 billion and as this has the tendency of reducing yields on gilts it may mean annuity rates will decrease at some stage in the next few months. Fig 1 above shows that annuities have recovered strongly with increases in the range of between 0.4% and 3.0%. The standard annuity rates virtually all increased as Legal & General, Aviva and Hodge Life increased their rates and only Canada Life made no change for the standard annuities. Of the smaller number of annuities that decreased representing 5% overall, these changes were wide ranging from 0.4% to 4.0%. The majority of the 48% of unchanged rates were from smoker annuity providers such as Liverpool Victoria. For standard annuities the average increase was 1.0% with many rates increasing by 1.7% across the board from age 55 to 65 for males, females and joint annuitants. For the ages around 70 the range was either no change or up about 1.2% and for ages around 75 there was no change. Smoker annuities did not change for single life males and females but joint life annuities all changed with the largest decrease for 100% joint life of up to 4.0% at age 70 to 75 annuitants while other smoker annuities increased about 1.1% for younger ages of 55 to 65. Annuity rates depend on gilt yields and in particular the 15-year gilt yields. If yields increase by 10 basis points this would result in roughly a 1.0% rise in annuity rates. Over three months gilt yields have decreased by 11 basis points or a 1.1% decrease in annuity rates expected. Standard annuities increased by 1.61% by comparison suggesting that they have further to fall by 2.71%. For smoker annuities the decrease has been 1.26% so they could increase by 0.17%. 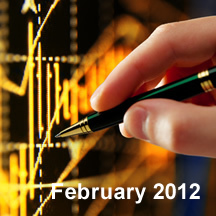 Impaired annuity rates have has a mixed February with increases at the beginning of the month and decreases towards the end. Impaired annuities could improve by about 0.6% although any increase in yields means more margin for the providers to improve annuities.